Late last month, Canada’s Public Service Health and Safety Association (PSHSA) issued a warning to employers – improve your understanding of fatigue in the workplace and implement better prevention initiatives or risk serious operational loss – but is the warning really warranted? HRD caught up Glenn Cullen – PSHSA’s VP of corporate programs and product development – to find out more about the risks associated with worn-out workers. “Workplace fatigue is defined as a state of feeling very tired, weary or sleepy resulting from insufficient sleep, prolonged mental or physical work, or extended periods of stress or anxiety,” explains Cullen. According to the VP, factors that impact employee fatigue include general poor health and fitness levels, shift work, environmental issues such as light and noise, workload, a lack of good quality sleep, an inadequate time for sleep between work or shifts, and job design. Other personal factors that can influence the level of workplace fatigue include working multiple jobs, community, family or social obligations which impact sleep time, emotional issues and sleep disorders. Why should HR be worried? Studies have even found that the number of hours awake mimics performance impairment of alcohol consumption, with the body’s blood alcohol content rising as a person stays awake for longer. According to Cullen, the problem has always existed in workplace but modern developments and socioeconomic changes have increased its prevalence. “The sandwich generation has increased responsibilities as we care for both children and aging parents, which may impact our ability to get the necessary amount of sleep,” he told HRD. “The technology generation has increased access to light through various devices – televisions, laptops, phones, tablets – which interrupt our circadian rhythm,” he added. 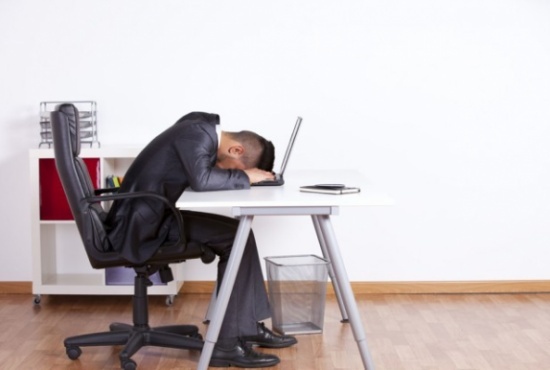 What can HR handle workplace fatigue? “Accidents and errors as a result of fatigue can have a tragic human and monetary cost,” warns Cullen. “Influenced by sleep history, circadian fluctuation, and time on/off-duty, fatigue has a measurable impact on a worker’s reaction time and ability to perform their job safely,” he added. Treat fatigue like other workplace hazards: identify potential causes and develop and implement controls. Increase awareness and start discussing how fatigue may be impacting the workplace. This can be supported through fatigue awareness training, which provides workers and supervisors with an introduction to fatigue, its basic causes, the importance of sleep and simple steps that workers can take to manage the issue. Provide information about physical, mental and emotional signs and symptoms of fatigue so that workers can self-identify their need to address fatigue. There is highly accurate, easy-to-use technology available, like the Fatigue Science Readiband that helps objectively assess the risk of fatigue. There are also simple risk assessments workplaces can use to identify if common risk factors are present in the way work is designed or performed. These types of assessments identify common risk factors or potential triggers, such as changes in staffing levels, shift duration and time of day commuting, time off, hours worked, overtime, etc. Develop policies and programs that are aimed at decreasing potential risk factors, including shift scheduling or overtime reduction. Consider how work is designed and performed as well as potentially offering or promoting health wellness through EAP or other programs. How safe are Singapore’s workplaces?